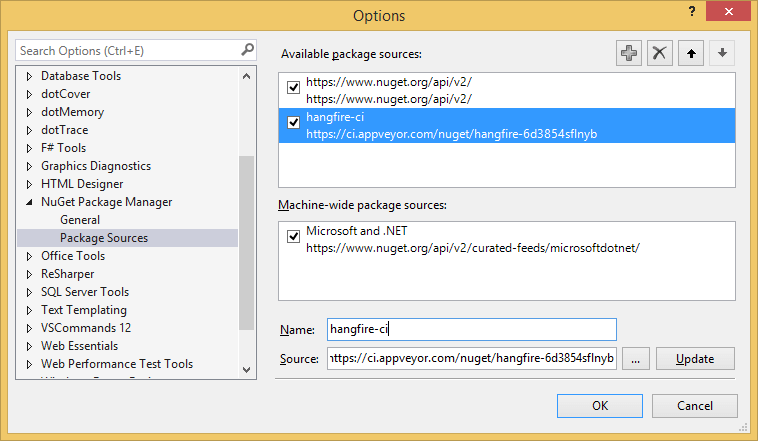 Right-click on your project and click “Manage NuGet Packages”. To configure a CI feed in Visual Studio open Tools → NuGet Package Manager → Package Manager Settings and add a new feed. 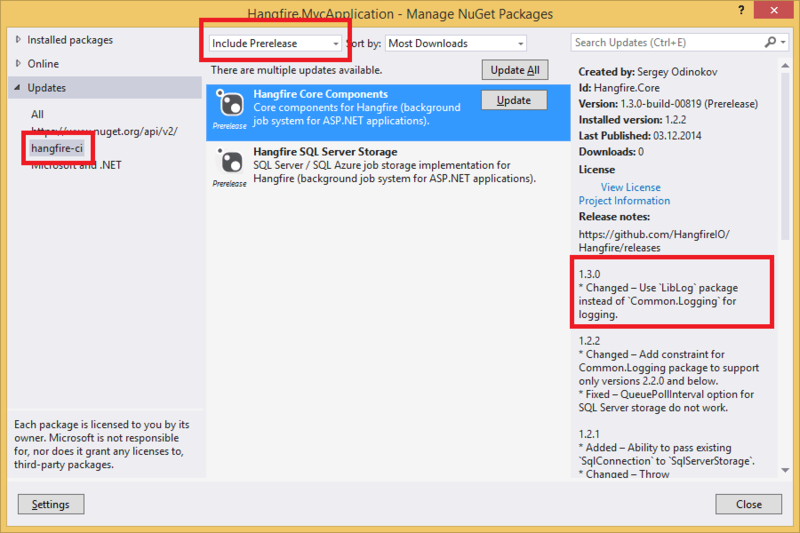 After adding the feed, use the NuGet Package Manager to obtain new versions of packages. In Visual Studio Solution Explorer, right-click the References node and click Manage NuGet Packages… and ensure that Include Prerelease option is turned on.